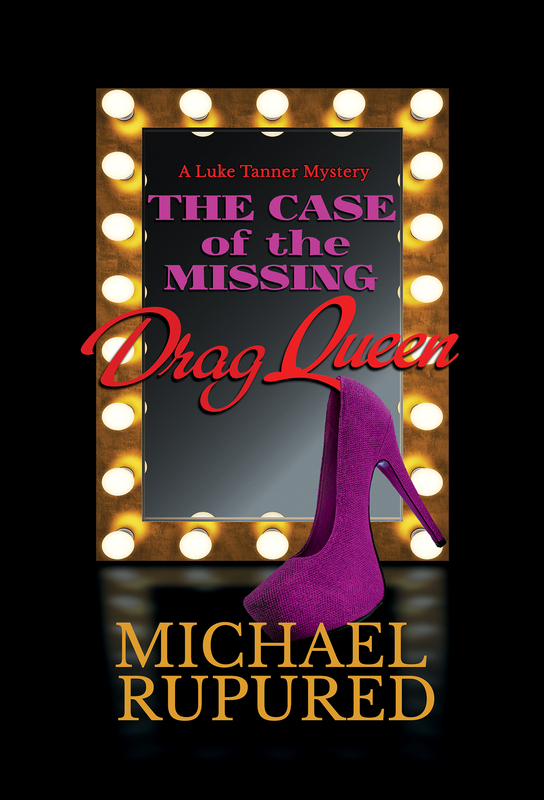 I’m thrilled to present the cover for The Case of the Missing Drag Queen, now available for preorder from DSP Publications. On his twenty-fifth birthday, Luke meets diminutive Pixie Wilder, a longtime performer at the Gilded Lily. After headliner Ruby Dubonnet doesn’t show up, Pixie takes her place as the star of the show—a motive that makes her a suspect in Ruby’s disappearance. Not since the Christmases of my youth have I anticipated something as much as the release of a new novel. Visions of five-star reviews dance in my head. I’m especially excited about the first Luke Tanner Mystery — my first new release since Whippersnapper (January 2016). The Case of the Missing Drag Queen will be released on June 19, 2018. I started the story last June, finished in October, signed the contract in December, and now it’s available for preorder. That’s eight- to twelve-months faster than with any of my previous stories thanks to changes in my writing process. It’s the first of my books that will never be marketed as a romance. For the first time, the title says what the story is about. Readers know what to expect. Whether it’s an enjoyable mystery remains to be seen. Some will like it and some won’t — that’s how these things go. At least there’s no bait-and-switch this time. The story takes place in the fall of 1982 in Lexington KY. Setting the story in my home town is another first. It’s chocked full of inside jokes only someone from Lexington will get. Nothing essential to the plot — just a little something extra for my homies. Thanks for stopping by. Between now and the end of June, I’m doing guest posts all over the place. Many will feature playlists for the Gilded Lily’s drag shows. Check my web site (rupured.com) for details.